Lasting for around 1 hour, these sessions are flexible – you can leave before the end if you need to. 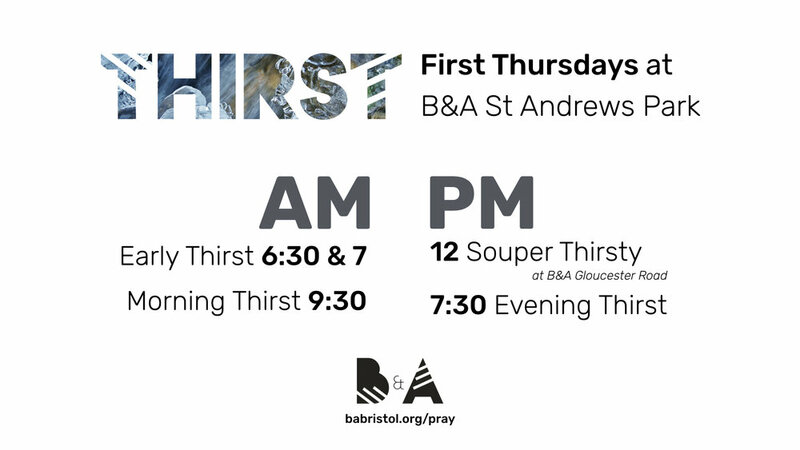 Some sessions won’t run each month, so to be sure, contact pray@babristol.org. This resource is designed to be used as the '3. 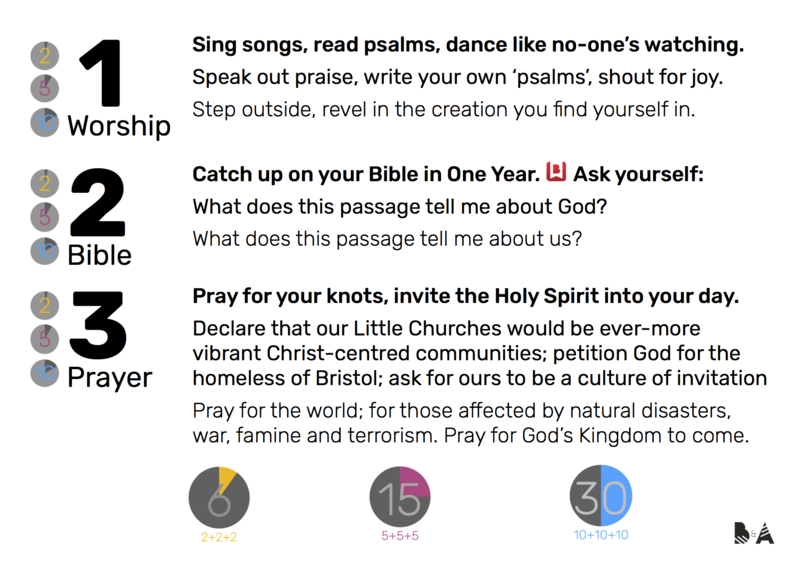 Prayer' part of your 1, 2, 3. You can use the first 2 mins, 5 mins or the whole 10 mins depending on how much time you have, there are specially cut versions for each. It will guide you through a simple set of prayers, which the whole B&A family are praying. Watch the 10 min video below or find the others here. Listen to the audio only version with Spotify, Apple Podcasts or Google Podcasts or download them below.